Ich hoffe ihr mögt es und habt Spaß! dude - christine!! this card is amazing!! first of all i LOVE the pinks, oranges and yellows together! and the way you made your own 'enamel' chevrons...eek!! super super cool!! i totally want to try that!! it's like the happiest accident of all!! Way to go Christine.... only listen to the good comments..... and remember most who give constructive inspiration will do it with kind words and only when asked. I love how this card went from flop to fabulous ...... very clever. Thank you for it. This is sooo sweet! 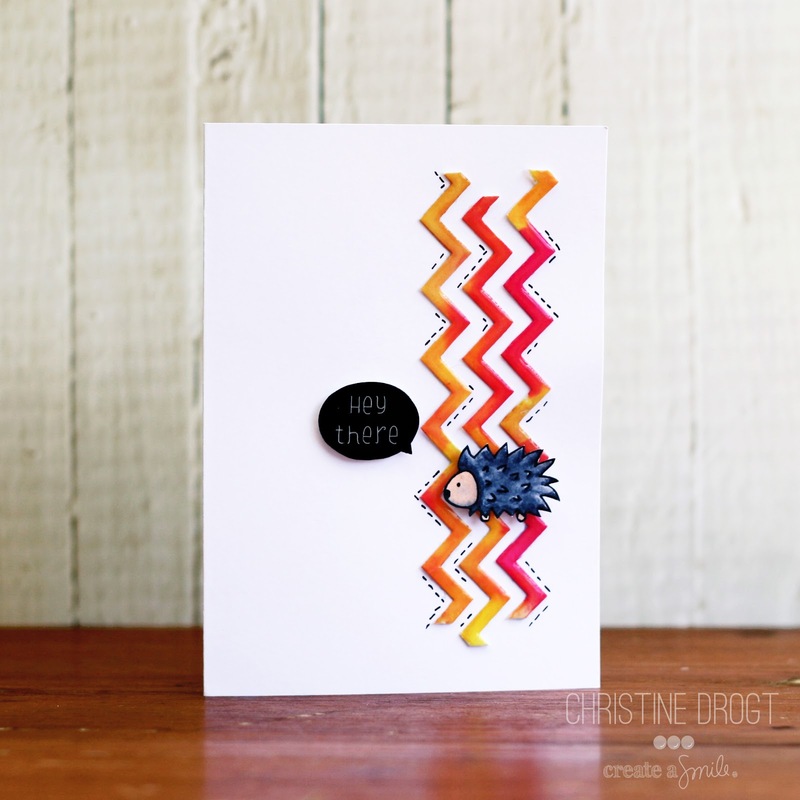 Love how you used the zigzags in this design! STUNNING card..love the mistake you made..turned out super gorgeous! Die so entstandenen Zig Zag Enamel embellishments sind einfach klasse! Und der süße Igel ist das Tüpfelchen auf dem "i". Your card is awesome! I just when happy accidents happen. Great card. The wooden stick we call a skewer in Australia, or a satay stick. Such an awesome card! 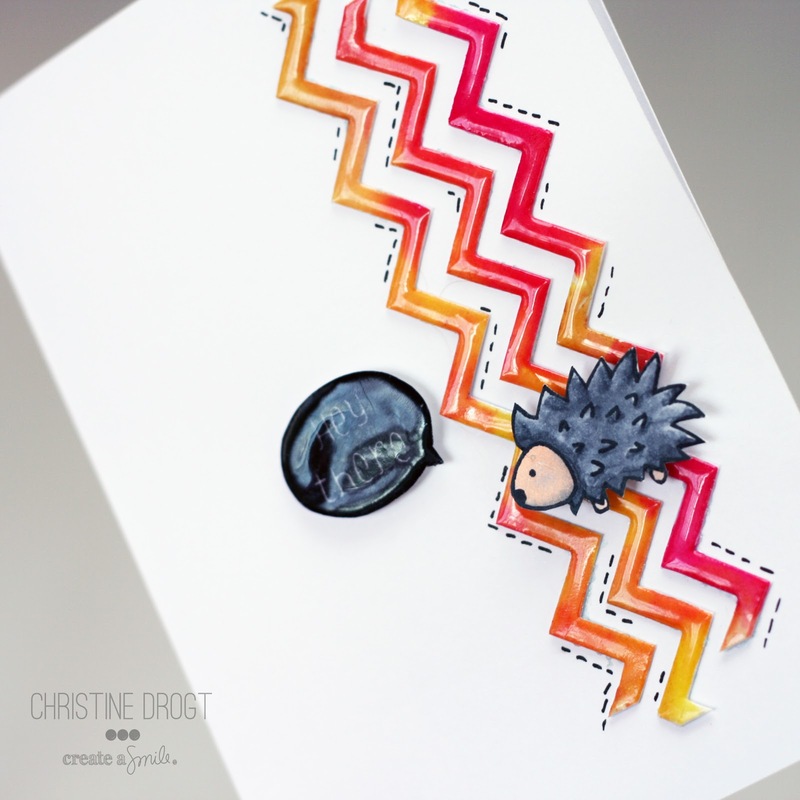 Love that hedgie!